Whether it’s a bout of Bali Belly or a preschooler with rotavirus, tummy bugs come in all shapes and guises. Gastroenteritis (gastro) tends to be caused by viruses or bacteria that inflame your digestive system, causing symptoms such as fevers and aches (similar to influenza), as well as vomiting, nausea and/or diarrhoea. In most cases the acute symptoms stop within 24 hours, though it can take a number of days before feeling fully recovered. Not all gut upsets are as self-limiting as gastro. Parasites, such as protozoa, cause many of the nastier infections including giardia. These take longer to develop and treat. While common gastro may resolve within 24-48 hours without medication, giardia can hang around for months or until effectively treated (usually with a powerful combination of antibiotics). Food poisoning is often mistaken for gastro. Although the common viruses and bacteria that cause gastro can be passed on by poor food handling, with food poisoning nastier viruses like Hepatitis A or bacteria (e.g. salmonella) can be the culprit. When food that is stored incorrectly or been contaminated is the cause of the problem, eggs are responsible for approximately 1:5 cases of food poisoning in Australia. Hospital acquired infections as a consequence of inadequate hygiene or antibiotic resistance, such as Clostridium difficile, are relatively common but difficult to treat. Recalcitrant infections that are unresponsive to conventional medicine can sometimes be treated holistically with the help of an experienced practitioner. The most important consideration is to stay hydrated. If you can’t hold down water without vomiting or pain, have a fever or frequent diarrhoea you are at risk of becoming dehydrated. This leads to confusion and ultimately death. Babies, children, the elderly and those with a compromised immune system are most at risk of dehydration and serious complications. If the inside of a baby’s lip are dry, or they become floppy it is a clear sign they are severely dehydrated. Seek emergency treatment at your nearest hospital. What can you drink or eat? Avoiding food during an acute event is a good option, as long as you can tolerate nourishing fluids. With long-term gastro-like symptoms, it’s important to eat lightly as well as remain hydrated. Avoid sugary drinks and full strength fruit juices. Contrary to advice that can still be found on the internet, flat lemonade (or even the fizzy variety) is unsuitable due to large amount of sugar increasing fluid loss from the intestines (osmosis). 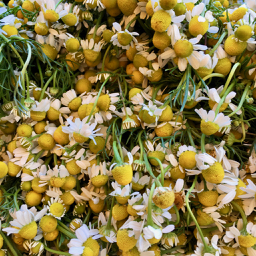 • chamomile or peppermint tea. It’s important to avoid caffeinated drinks and alcohol until fully recovered. When you can face food again, take it slowly and start with a small serve. • Try well-cooked foods such as soup (broth or barley and vegetables). • Orange vegetables are particularly good to help restore the mucus membranes in the gut. 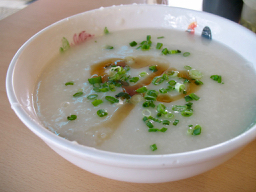 • If desiring bland food, white rice or soupy rice that has cooked for a long time in stock (Chinese congee) is excellent. • Stewed apples with a little cinnamon. • Ginger in soups/stews, or in a tea with honey. Tablets can also helps calm queasiness. • Garlic is also a natural “antibiotic” but too much raw garlic (or garlic oil capsules) can cause diarrhoea. • If you’ve been on antibiotics try sauerkraut, miso or your favourite fermented foods. These these lacto-fermented foods that can help restore your gut flora. Good quality herbal teas (organic, loose leaf) provide hydration with an added medicinal benefit. Common herbs like ginger (finely chop the root and simmer in water for 10 minutes), chamomile and peppermint teas can help ease some of the discomfort of gastro but are not specifically anti-infective. The number one herb to treat gut infections is golden seal (Hydrastis canadensis), however it has a few caveats. While golden seal can be effective in preventing and treating many cases of traveller’s diarrhoea, giadia and other infections, both a high quality product and the correct dose are needed. In Australia I have found over-the-counter product less effective than those that are available to practitioners (”practitioner only medicines). See an experienced herbalist/naturopath, rather than self-prescribing, especially if you have high blood pressure, are on other medications or are treating children. Don’t ingest essential oils, no matter what the sales pitch, taking herbs in such a potent form are considered highly dangerous by the majority of qualified naturopaths. Regardless of whether it’s a bacteria, virus or parasite your body is busy fighting an invader and needs all your available energy to do so. It is important to fully rest when you have gastro. While you are feeling ill, don’t “soldier on”. Avoid going to work, school or socialising as gastro is often highly infectious. Probiotics can encourage the growth of healthy gut flora and are highly recommended after an infection or antibiotic treatment. I prefer probiotics in capsules or powder that are lactose-free. Avoid the sweet milky cultured drinks, as you want to reduce sugar when fighting an infection or restoring flora. Convalescence is a largely forgotten art. Follow my guidelines for convalescence until your strength returns. A stomach and bowel that has been inflamed is more likely to react to foods that it previously had no problems digesting. Sometimes after these kinds of infections allergies or food intolerances begin. This may be caused by molecules of food that are usually too large to pass from the bowel into the bloodstream, slipping through a more permeable inflamed bowel wall. As the immune system doesn’t recognize the molecule it can create an antibody-antigen reaction, in other words a food allergy. Considering the risk of developing a permanent food allergy, while experiencing a gut infection try avoid dairy, wheat, soy and eggs. During your recovery, try to eat well-cooked, natural foods. Continue to avoid sugar, fats, caffiene and alcohol. Congee is the perfect convalescence food! Handwashing has been proven to be the most effective form of prevention, is simple to do and more or less free. If you’re looking after someone with gastro be sure to wash your hands with warm soapy water for at least 30 seconds whenever you are in contact with them, before meal preparation and after any nappy changing. If you are dealing with a baby or toddler with gastro it is worth using latex gloves when dealing with their feces or cleaning them up. If “gastro” keeps doing the rounds at home or work, take a look at your water supply and your general hygiene. In my clinic, I’ve encountered numerous cases of recurrent gut upsets primarily caused by questionable water sources. One memorable case involved an office water cooler tap, that had never been cleaned and when finally disassembled contained black, smelly gunk! •Boil tap water for 5 minutes before drinking. • Tank water – have you tested it lately? • Water coolers – when was the last time the unit was pulled apart and thoroughly cleaned? • Water filters – when were they last changed? Plumbed in tap filters often get forgotten about (especially in workplaces). Keep in mind that jug filters can’t actually filter out bugs, though reverse osmosis may, all filters need to be changed regularly according to the manufacturers recommendations. • Drink bottles – bottles of water aren’t designed for multiple use. Regardless of the type of bottle, clean with hot soapy water DAILY. Don’t drink out of it if it has been sitting in a warm place (like in the car all day). Saliva contains lots of bacteria, just add heat and they can multiply to dangerous levels. At home, make sure everyone who helps prepare meals and snacks washes their hands first. What if you are often feeling sick but don’t respond to treatment? If you’ve seen your GP or specialist, and repeated stool samples are clear (often three may be needed) but you continue to have symptoms), there are other common causes of chronic nausea, queasiness or diarrhoea to consider. Stress can cause a range of gastrointestinal symptoms. One of the most common reasons for ongoing gut symptoms may be due to food allergies or intolerances. While diagnosing a food allergy is controversial, and a food intolerance is near impossible, a skilled naturopath can help you identify likely culprits and create an diet that’s enjoyable and easy to follow. Need some help with your gut? Gill is one of Australia’s most experienced naturopaths, with more than 27 years in clinic helping people feel better. She works with people around the world via Skype, and in person in Sydney and Melbourne. Read more about her services and book you’re consultation. This article first appeared as “notes from the show”, my radio talkback show on 3RRR that ran for two decades. The podcast of this episode is still online in 2018! Have a listen if you want a blast from the past. Hi Gill, love your program and your wonderful and informative website. After having an upset bowel for months, a stool test has proven positive for two different parasites (b. hominis and e. nana) and my gp has issued a 10-day course of 3 different antibiotics in an attempt to blast them given the common giadia drugs seem to be ineffective. You mention golden seal and I appreciate the need to avoid common over the counter preps, however, have you had any success using it to kill multiple parasites that may have existed a long time (I’m not sure when or how I even got them!). Many thanks in advance. Blastocystis h. is a particularly difficult bug to shift. I have treated clients who have not responded to triple antibiotic therapy, with golden seal (if they didn’t have pre-existing conditions that were contra-indicated) and the majority have become asymptomatic during that time. I’d usually work with diet, gut flora and general health to back up herbal treatment. I’d suggest you give triple therapy a go, taking pro-biotic powder or capsules during and after treatment to re-establish healthy flora. Stick to a simple diet free of processed foods during this treatment and take ginger (tea or tablets) if you feel nauseous. If you this doesn’t improve your bowel problem, I’d see an experienced naturopath. Many many thanks. I’ll take your advice but suspect I’ll be making an appointment in the very near future! All the best. Your advice is greatly appreciated.